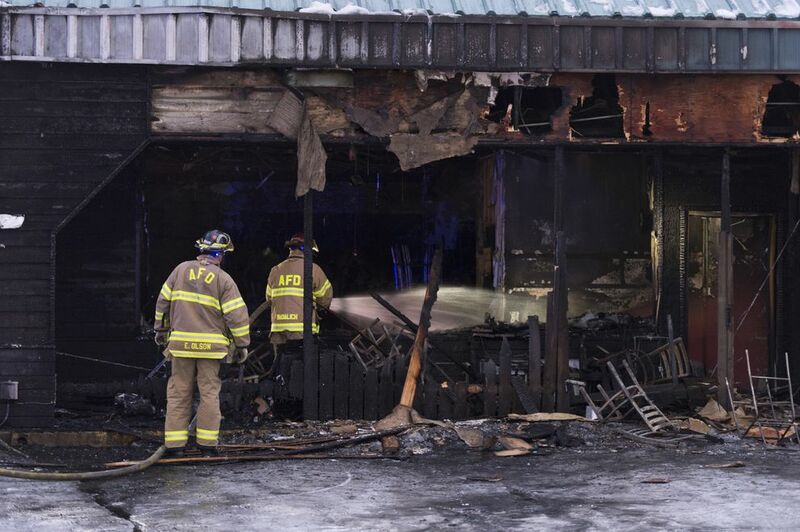 Two fires that destroyed Anchorage commercial buildings are now considered arson-caused, but police say there’s no sign they are connected. The Anchorage Police Department announced Wednesday that it’s taking over arson investigations into a massive fire Jan. 26 that destroyed a partly constructed, 141-room Courtyard by Marriott hotel and an unrelated blaze early Monday that gutted a sushi restaurant off Tudor Road. 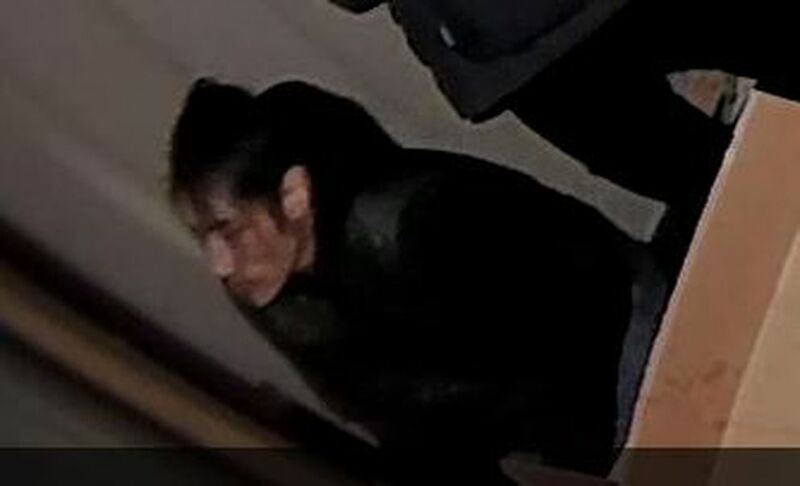 Police are looking for two people who may have information about the hotel fire, APD spokesman MJ Thim said. 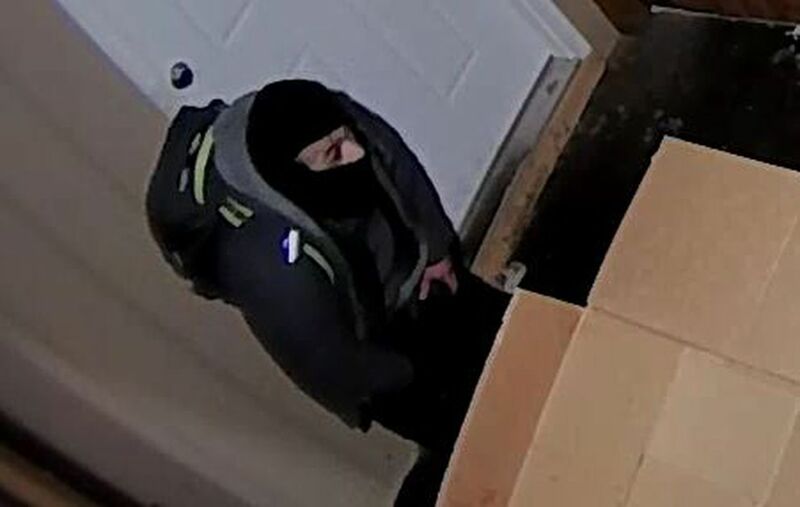 Detectives are also looking for two men captured on surveillance video during a break-in and subsequent fire at the restaurant. Fire officials have not released any information about the origins or causes of either fire. Anyone with information about the people involved or the investigations into either fire can call police at 311 or Crime Stoppers 907-561-STOP to remain anonymous. The hotel fire destroyed the building and created a smoke plume seen all over the city. A fire official called it a “massive loss” that was later estimated at $20 million. A police officer responding to the fire captured two men in the area at the time on his dashboard camera, Thim said Wednesday. The men are not described as suspects. “They were in the area at the time of the fire and that’s why we want to talk with them,” he said. The fire was so hot it cracked windows and melted a sign at a nearby Motel 6. One firefighter was treated for heat exhaustion. A team from the Bureau of Alcohol, Tobacco, Firearms and Explosives traveled to Anchorage to help determine what caused the fire. Federal investigators briefed Anchorage fire and police officials on Saturday, a Seattle-based ATF spokesman said. Any information about the hotel fire at this point must come from local agencies, he said. 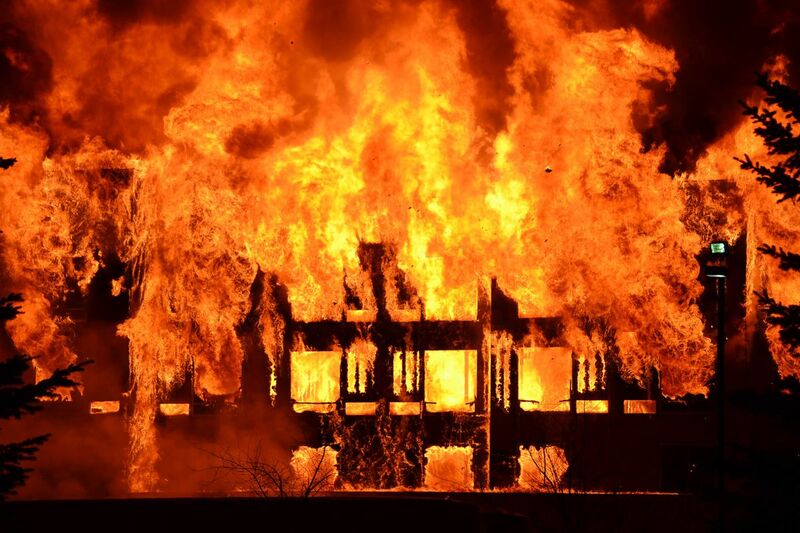 The hotel, at 4960 A St., between Tudor Road and International Airport Road, was at a stage of construction where it was mostly wood and didn’t yet have a completely installed sprinkler system, officials have said. A construction worker described a couple of recent thefts at the job site. Another fire early Monday morning destroyed Yakitori Sushi House. Authorities say two men were spotted on surveillance video breaking into a business next door. Restaurant owners, asking for customer help identifying the suspects, briefly posted the video Monday on Facebook. “We did get information from the video,” Anchorage Fire Department Fire Marshal Cleo Hill said Tuesday afternoon. Surveillance video posted to the Anchorage Police Department Facebook page shows the two suspects fleeing as the fire roars inside the building. One of the suspects tries to beat the fire off his hand before removing his still-flaming glove and tossing it aside. The two suspects then escape through a fence door. Investigators believe both suspects were injured during the crime, police said. The restaurant has no immediate reopening date given the extent of damage, an owner said Monday. Seven employees are out of work, according to Jim Kammermeyer, a loyal customer who’s started a GoFundMe fundraiser to help them out. The fires were among six in commercial buildings since the start of the year -- but the only two classified as arson. A house that served as a business burned in January in a fire not considered suspicious, Hill said. Another, in a self-storage unit the same day of the hotel fire, is also not considered suspicious. Two people were injured in a Jan. 28 fire that damaged the second floor of a building that also houses Brown’s Electric on Old Seward Highway. That fire, which originated in living quarters on the second floor, was determined to be an “unintentional accidental fire,” Hill said. On Jan. 3, fire destroyed the former Sea Galley restaurant on C Street just north of Tudor Road. The restaurant was recently closed and was not occupied at the time. Investigators later determined that “vagrants” were inside the building shortly before the fire was reported. Officials aren’t calling that fire arson, Hill said.